Nice treasure to have Cheryl. 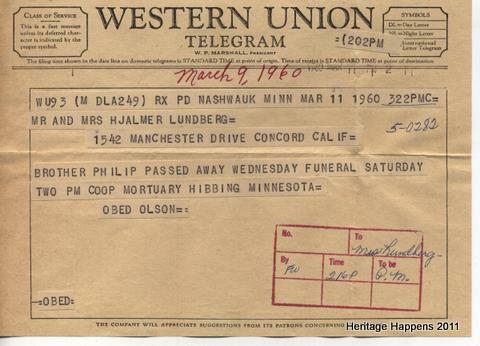 I remember receiving a telegram for something but can't remember what...that was in mid 60s after marriage. What I find amazing is that our parents kept these things. Bless them. These are neat to look at! We sure have come along way! Thank you for sharing this Cheryl...I always love old papers and correspondence. Hi again. Thanks for following me. I joined you too. I never can decide whether it's easier to read my favorites in the reader or from my sidebar, so I added you to that too. Great blog!